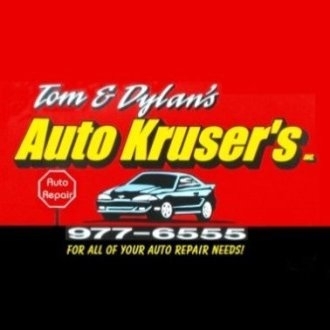 Tom & Dylan's Auto Kruser's! 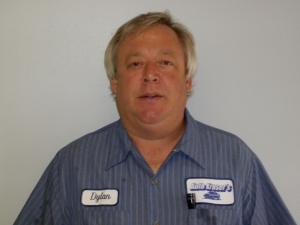 Dylan Kruse started working on cars in the mid-1970s. 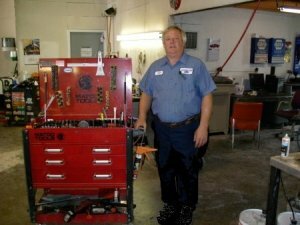 "Back then, anyone with a set of Craftsman wrenches and a basic understanding of internal combustion engines considered themselves a mechanic," said Kruse, "but it is different today, you need to be part mechanic and part electronics technician and you absolutely have to invest time and effort into staying current with your skills." Beyond that, diagnostic equipment and tools needed now cost more than the vehicles they work on. "There aren't too many shade tree mechanics out there that are driving anything newer than mid-80s. They just don't have the equipment or expertise needed to work on these new vehicles," he said. Dylan is a graduate of Brandon-Valley High School where he was considered a "motor-head"... He went on to Augustana College where he graduated with a BA degree in Accounting and Business Administration. In high school he worked at Holger Anderson's Skelly in Brandon and for the Sears Auto-Center on East 10th Street in Sioux Falls during college. "Although dad pushed me toward white-collar work, all I ever wanted to do is fix cars," says Kruse. 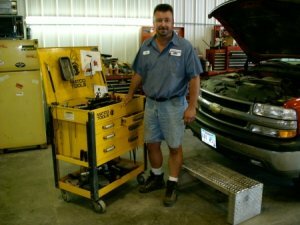 Dylan learned a lot, honed his skills and became an ASE Certified Master Tech while working for shops in Brandon, Valley Springs and Lennox before partnering with Tom Bieber and opening a shop in Sioux Falls in 2001. “I just want to run an honest shop where businesses and hard working people know they can take their vehicles and get them fixed without feeling like they are getting ripped-off" said Dylan. "I know that would make my dad proud even though I don't go to work in a suit and tie." Tom Bieber also graduated from Brandon-Valley High School then went on to the school of hard-knocks. "I didn't know Dylan from school because he was older than me, but we ended up with some mutual friends," said Bieber, "and when he (Dylan) was talking about opening a shop in Sioux Falls and needed someone to manage the front office and help out with the mechanic work, I jumped at the chance." Back in the beginning, Tom worked the accounts and lined up business and Dylan did most of the mechanic work. "Over time the business has grown and I now spend most of my time working on jobs too," said Tom. "We've had to hire a part-time bookkeeper, and we are letting word of mouth and a small advertising budget drive new business." 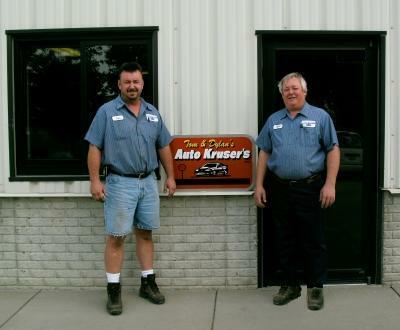 Auto Kruser's outgrew their original location and moved to their current facility in the summer of 2007. "We are exceptionally proud of our reputation," said Bieber, "we don't fix things that aren't broken, and we look for less expensive alternatives when working on our customer's vehicles. Sure a brake job on a Lexus may run $1,000 dollars or more, those parts just aren't available in the after-market; however, we aren't going to install a new $485 axle from Mopar on a 2002 Dodge truck when we can have the old one reconditioned locally for one-third that price." Auto Kruser's does fleet service and repair for a number of businesses. 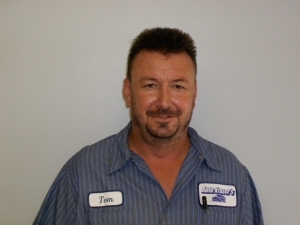 "We know how important their vehicles are to their business and we are committed to making sure that vehicle problems are one headache they don't have to endure," says Tom. "Although we don't repair over-the-road semi-trucks, just about anything else with an internal combustion engine (both diesel and gas) has rolled through the door at one time or another. We try to maintain our focus on cars and light trucks, but when our customers come to us with special projects or we get calls from people who just don't know where to take something, we usually end up fixing it."